■ Step 1: If you RUN the installation file, you will be prompted with the liteCam HD Installation Wizard as shown below. 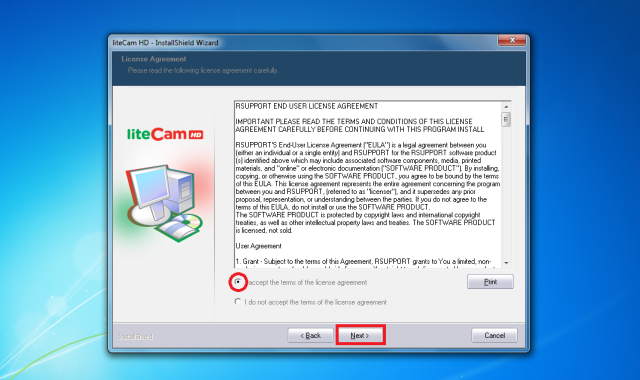 ■ Step 2: You MUST select “I Accept the Term of the license agreement” to continue. ■ Step 3: You will need to enter “User Name”, “Email Address” and “License Code”(16-digit code). 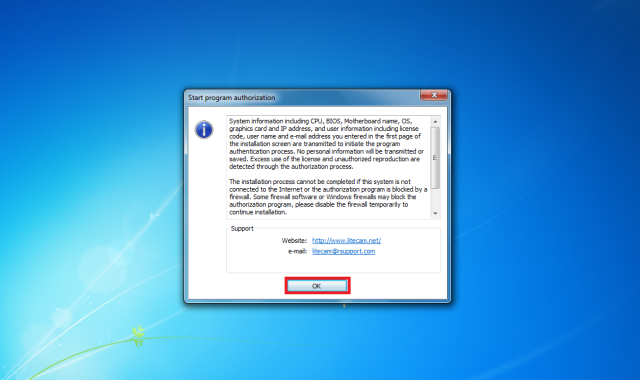 The information you enter will be transmitted for program authorization after installation, therefore, you must provide correct information. NOTE: Internet connection is a must to authenticate liteCam HD. ■ Step 4: Select the setup type you want to install. You can select between “Complete” or “Custom” setup types. ■ Step 5: Click Install. NOTE: in case you want to change or review your installation settings, click “Back”. ■ Step 6: The Installation will be on-going. Click “Cancel” to terminate the installation. 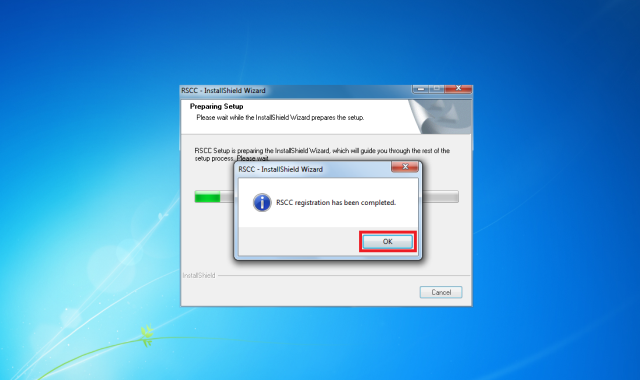 ■ Step 7: RSCC (RSUPPORT Screen Capture Codec) installation. When installation has finished, a window will pop-up confirming that RSCC installation and registration has been completed. Click “OK” to close the window. ■ Step 8: Authorization page. Click "OK" to close the page. ■ Step 9: The Authorization has been completed. Click "OK" to close the page. 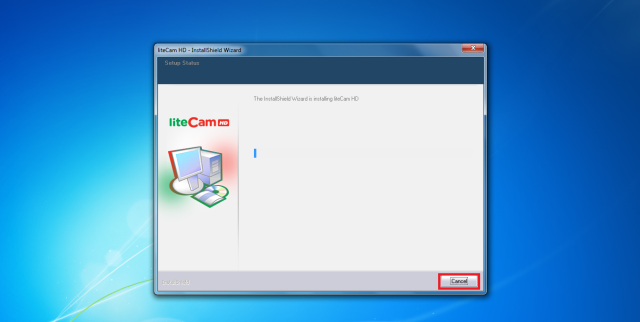 ■ Step 10: Installing liteCam HD MP3 encoder (lame-enc.dll). ■ Step 11: liteCam HD installation is complete. 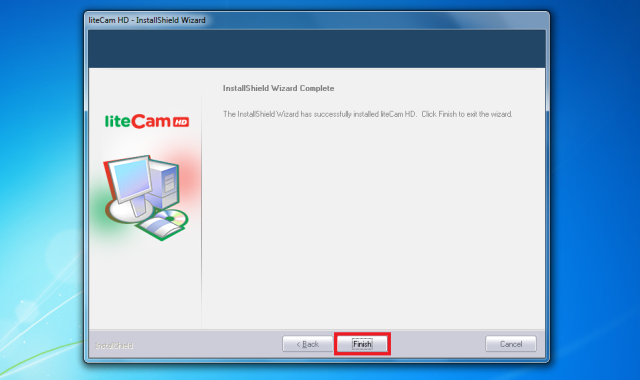 Click Finish to close the installation wizard. Lame is a High Quality MPEG Audio layer III (3) encoder. 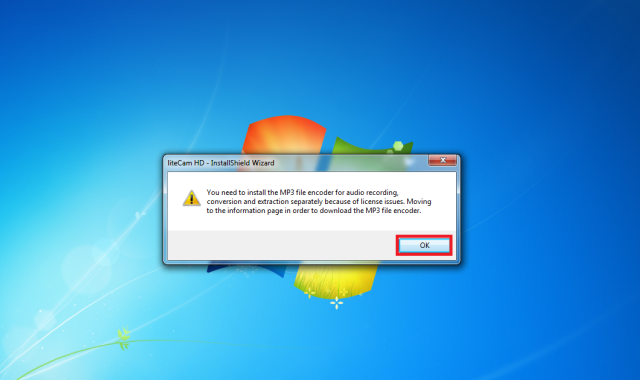 To have an MP3 option or to save or convert audio to MP3 format, Lame encoder MUST be installed on your computer. 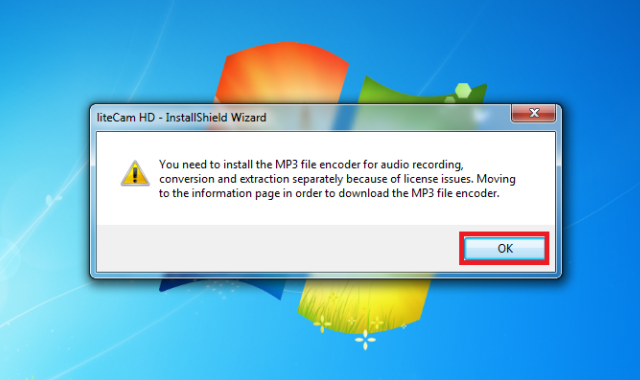 - During installation, you will see a dialog box which will prompt you to install the MP3 encoder (Lame). - Click “OK” to be directed to a website where you can download the Lame file. Copy and paste the “lame_enc.dll file” to the folder below (in case you didn’t change liteCam HD directory) C:\Program Files\RSupport\liteCam HD Folder.